Current council member Gus Martinez is one of eight who applied for the new Mission city attorney position, raising questions about whether it constitutes a conflict of interest. Last week, Mayor Armando O’Caña said the council had narrowed the pool of applicants to five for the position that was vacated by Abiel Flores earlier this year. It’s unclear if Martinez is part of that pool. O’Caña would not speculate what on would occur if Martinez was selected for the job. Martinez has not return requests for comment as of Monday afternoon. Ian Steusloff, general counsel for the Texas Ethics Commission, said there was nothing at the state level that would prohibit a city council member from dually serving as the city attorney. The city charter also does not specifically address the issue. Martinez was elected to fill the Place 4 seat last year in a special election after O’Caña stepped down from that seat to successfully run for mayor. 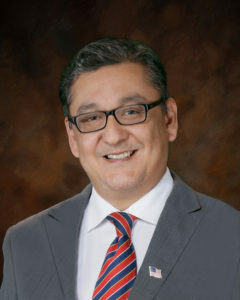 Before working in private practice, Martinez worked for Linebarger, Goggan, Blair & Sampson — a national law firm that works in debt collection — as well as the Webb County Attorney’s Office, the NAACP, and the Harris County District Attorney’s Office. Other applicants include an assistant public defender with the Hidalgo County Public Defender’s Office, attorneys from around the Rio Grande Valley and the state, who are currently working with private law firms, and a couple of out-of-state applicants also working with private law firms. The city council is scheduled to meet on Wednesday and Thursday for another round of interviews.